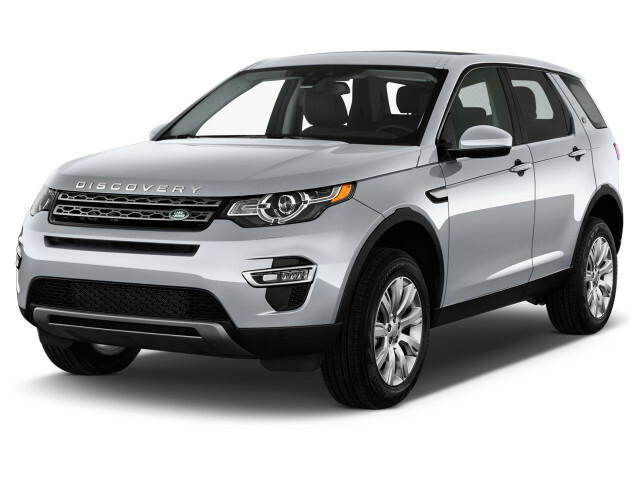 The Land Rover Discovery Sport is a luxury compact crossover SUV that's related to the Range Rover Evoque, but the Land Rover focuses more on off-roading. It offers a very small third row and was launched in 2016 as a replacement for the LR2. 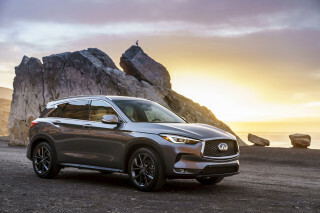 Rivals for the Disco Sport include crossovers like the Audi Q5, Mercedes-Benz GLC, and BMW X3, although none of those offer the Land Rover's third row of seats. 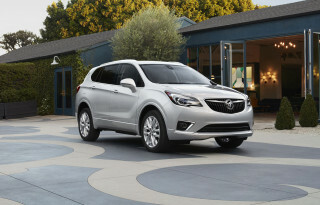 A turbo-4, a 9-speed automatic, and a Haldex all-wheel-drive system power the crossover. For 2018, Land Rover swapped out an aging 2.0-liter turbo-4 for the company's newer version with the same displacement and size. In most models, the updated engine makes 237 horsepower (down from 240 hp) or in top trims it can make 286 hp. In 2019, Land Rover made Apple CarPlay and Android Auto compatibility an option on the Disco Sport, and inserted a Landmark trim level in the middle of the lineup. From the outside, the Discovery Sport telegraphs two new developments at Land Rover. The first is the nameplate: "Discovery" is not only making a comeback at Land Rover, it's spawning its own sub-brand. 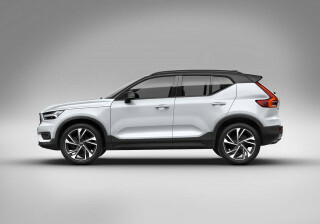 It will develop offshoots much as "Range Rover" has with the Range Rover Sport and Evoque models. The second piece of newness is styling. The Discovery Sport's lines are a more raffish, attenuated take on the blocky, angular LR2 standard. The new model is linked visually with other Land Rovers and Range Rovers, with its twin ribbons of grille, skid plates, and clamshell hood, while the arc of the roofline and the almost austere body-side sculpting are new. Inside, the look is more traditional, with available twin-needle stitching and big knobs for ancillary controls. The sole touch of futurism is the rotating, rising puck that controls the transmission, something that has been appearing from the consoles of many Jaguar and Land Rover products since it was first introduced on Jag's XF sedan. At launch, the Discovery Sport offered just one powertrain. 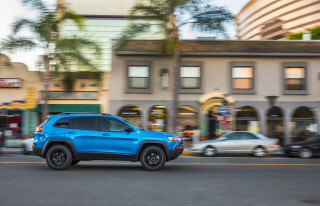 A 2.0-liter turbocharged 4-cylinder making 240 horsepower is paired with a 9-speed automatic with paddle shifters and a Haldex all-wheel-drive system. The same basic setup can be found in the smaller Range Rover Evoque, where it provides adequate power and torque, although it could use some refinement when it comes to power delivery and sound. As a newer design, the Disco Sport should hopefully do a better job of quieting the powertrain. Land Rover quotes a 0-60 mph time of 7.8 seconds, and a top speed of 124 mph. EPA fuel-economy estimates come in at 20 mpg city, 26 highway, 22 combined which is a bit lower than the smaller Evoque manages (21/30/24 mpg). Like all of Land Rover's latest offerings, the Discovery Sport offers the familiar Terrain Response system. Its four modes of operation—default, Grass/Gravel/Snow, Mud and Ruts, and Sand—alter the vehicle's throttle and stability-control settings to adapt to the surfaces encountered, working in concert with the ABS, hill descent control, stability control, and traction control. The Discovery Sport is meant to be at least as fluent on pavement as off, with electric power steering that varies its ratio for parking maneuvers and highway driving. Off-road, the new Sport can boast of, and make use of, its Haldex unit, 8.3 inches of ground clearance, a full complement of skid plates, and the ability to climb a 45-degree grade, with a 25-degree approach angle. The Discovery Sport's suspension is a mix of front struts and multiple links in the rear, though both systems are isolated from the body structure by separate subframes. Land Rover has tried to pare down weight by cladding the steel body with an aluminum hood, front fenders, tailgate, and roof; still, the Discovery Sport checks in at about 4,000 pounds. Compared with the outgoing LR2, the new Discovery Sport is about three inches longer in wheelbase and overall length, which factors into its new third-row-seat option. The Sport is 180.7 inches long, and rides on a 107.9-inch wheelbase. It's capable of seating up to seven passengers, but Land Rover acknowledges that those rearmost two seats are best suited for occasional use. To make the most of their space, the second-row seats slide on a 6.3-inch track, and the rearmost seat folds away, maximizing the space's flexibility. Safety systems are thoroughly modern, with the Discovery Sport taking advantage that its parent company has to offer. Lane-departure warning, parking assist for both parallel and perpendicular spaces, auto headlights, and trailer-sway control are offered. Forward-collision warning with automatic emergency braking can halt the vehicle at speeds slower than 32 mph. All Sports come with a touchscreen interface, and with a 10-speaker audio system with terrestrial and satellite radio, Bluetooth audio streaming, and USB and auxiliary ports. The system can pair with two devices—one to talk, one to stream entertainment. The Sport will have up to four power points and as many as six USB ports. Other new technology includes Land Rover's new InControl connectivity kit, which adapts some Apple and Android mobile apps to the Discovery Sport's operating system. Those apps include favorites like iHeartRadio and Parkopedia. Leather upholstery is standard, along with dual-zone climate control and power features. 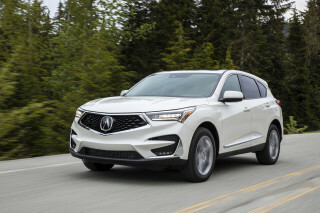 Major options include navigation, a contrast-color roof, a panoramic roof, oversized alloy wheels, underbody protection, side steps, a towing package, and a black-trim package. For 2017, the Discovery Sport adds a new Dynamic Design Package that's all about giving it a look more in line with its sport moniker, plus Land Rover's more advanced 10.2-inch infotainment system is now available. I've owned this car 4 months & I wish I did not purchase it. We bought 2016 Discovery SPORT 3 weeks ago and it broke down 3 times already. WE ARE so unsatisfied with the car. Also the gas paddle is so sensitive little push makes it jump..